Buying a home can get expensive. After all, a home is a large purchase, and if you want to avoid hassles and difficulties, you need to come up with a down payment of at least 20%. While some Canadian lenders have been accepting less, most homebuyers are better served by coming up with a large down payment. But how do you come up with that down payment? With home prices still rising in many areas, coming up with 20% can seem insurmountable. That’s a large chunk of capital. The answer to this difficulty might be the Home Buyers Plan. 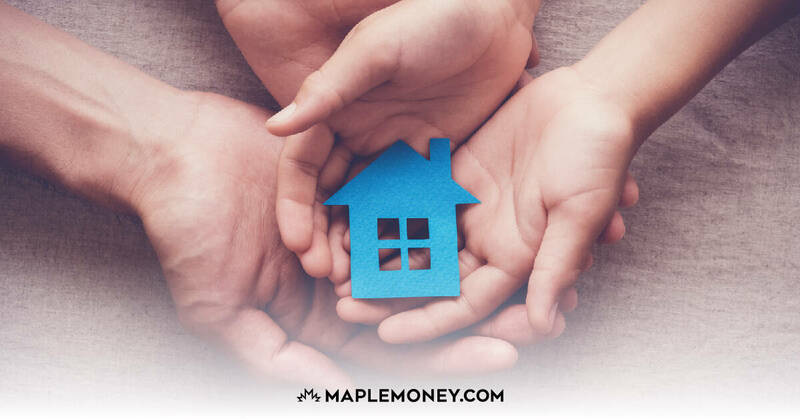 The Home Buyers Plan is a government program that allows you to withdraw up to $25,000 in a calendar year from your RRSP towards the purchase of your first home without any tax being withheld. You can use the money to buy or build a qualifying home. You can also withdraw funds from your RRSP to help a related person with a disability purchase a home. This money isn’t “free,” though. You have to repay the amount you withdraw over 15 years. Also, realize that since you already received a tax refund for these funds when they were originally put into your RRSP, you will not receive another tax refund when you’re paying it back. With a bit of preparation, the Home Buyers Plan can be a great way to save towards a house. Many first time home buyers are likely looking for a way to save for a down payment and reduce any current debt they have. The fact that you can accomplish this and get a tax deduction on that money first (since you are contributing to your RRSP) only makes the deal sweeter. Before I bought my first home, I put all of my available savings into my RRSP and used the tax rebate to pay down my line of credit. I saved a little over $14,000 over a couple years. This gave me about $4,500 in tax refunds for debt reduction. Then, I was able to withdrawal the $14,000 under the Home Buyers Plan for my down payment. Now I must repay $934 each year for 15 years. Since I put more than that into RRSPs each year, I simply reduce the total amount available for my tax refund by an even $1,000 and count that as my repayment. If my RRSP and TFSA contributions are ever both maxed out and I still have money available for saving, then I’ll start repaying more than my current $1,000 a year. You and your spouse must not have owned a house in the 4 previous years. You cannot use contributions made in the past 89 days. The house must be your principle residence. As you create your savings plan to buy a home, make sure that you follow the requirements. As long as you are careful about which contributions you use, and as long as you haven’t owned a home anytime soon, you should be able to take advantage of the Home Buyers Plan. Another thing to keep in mind is that your RRSP and your spouse’s RRSP are considered separate. That means that you can each withdraw $25,000 in a calendar year to help buy a home. This means you can consider using the Home Buyers Plan as a great way, as a couple, to withdraw up to $50,000 to put towards a down payment on a qualifying home. Is the HBP always worth it to reduce my monthly mortgage or is the loss in growth for those 15 years not always make it worth it? How can I decide what’s best for me? Imran, unfortunately you won’t know until the 15 years have passed. On one side, you can get a mortgage for 5 years for less than 5%, but in 5-10 years from now the fixed rate could be 15%. If that were to happen, you’d be happy to have a smaller mortgage. With the investments in an RRSP, they might make 10% or more a year, making that the better choice. But it’s also possible that they lose money within the 15 year span. I personally went with the HBP because it’s a sure thing that I’m ahead but the extra interest I’m not paying on my mortgage. While the RRSP could do better than that interest rate, it can also do worse. More importantly, it helped me put together a 20% down payment, saving me the CMHC insurance you pay with a smaller down payment. If you want the most balanced way, maybe use the HBP but then increase your RRSPs contributions after that so that you’re getting back in to the market sooner? I can’t seem to find evidence for the claim of the 89 day limit. Can you point me in the right direction please? Aha, I found it, thanks. Did Dariusz get an answer to the $8000 as I had the same question, do you get the rrsp back once its paid back? Can you please explain to me where this money goes after you have repaid it, it was my money to begin with,..I spent it on a house, now I paid it back, so I should still have it? I wonder if this is the same for us here in the states. I would suggest trying to figure out which would be more cost effective. If my PMI is going to be 200 per month it makes sense of the HBP is less if it ends up being a lot more then I cant justify me spending more money monthly. I think the Fed Gov’t should allow First time home buyer unlimited access to their RRSP savings instead of limiting that to $25,000. A lot of young people is staying at home because they cannot afford to buy a house. If I have the money for a down-payment outside of my RRSP, is there any advantage to using the HBP? I’ve heard it said that I should because then my down-payment will be tax-free. However, I have to pay back the HBP loan with after-tax dollars (no tax rebate on the re-payment), so the way I see it, the HBP is not tax-free. The only advantage I see is that it would allow me to build up a large sum quickly if I re-invested my tax returns. Other than that, if I already have the money outside the RRSP, then there is no advantage. Am I reading this wrong? HBP is not tax-free but it is interest-free. You get to borrow that money and don’t pay interest for 15 years. Since you put your money in RRSP you already pay less tax on your income. So technically it is tax-free as well. Where else can you borrow that much money for 15 years without paying interest? Is it actually borrowing if its already your money? As best I know, you can only use as much as you have contributed. (ie. if you have contributed $15, then you can’t use the full $25K for the HBP). Am I correct on that? If so, there is no borrowing element. 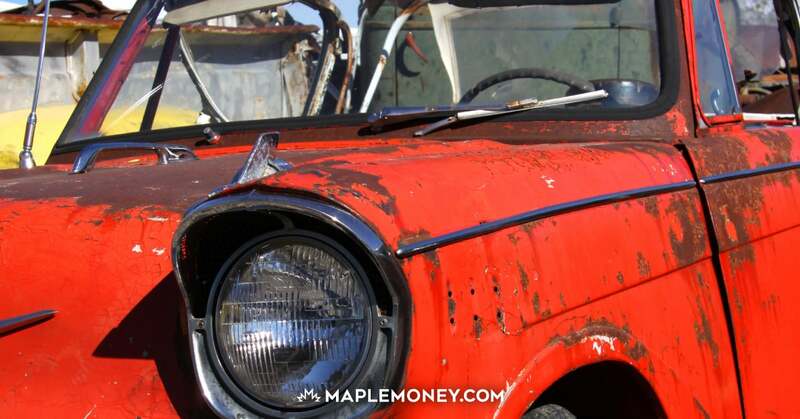 So, if I have $25K outside my RRSPs and $25K inside RRSPs then there is no advantage. The “interest” I would be paying on this “loan” if I used the money inside my RRSP would be the potential increase I would have gained had it remained invested in my RRSPs for those 15 years. You’re borrowing from yourself. The advantage is you get a nice tax return if you have the room to put it into your RRSP before taking it back out later to use as your downpayment. Sorry to ask, but iam so confused between rrsp and homebuyer plan.Do I need to put it x amount of money to my RRSP first in order to qualify for the hbp? Is my rrsp contributiontje same amount that i could use for my hbp? 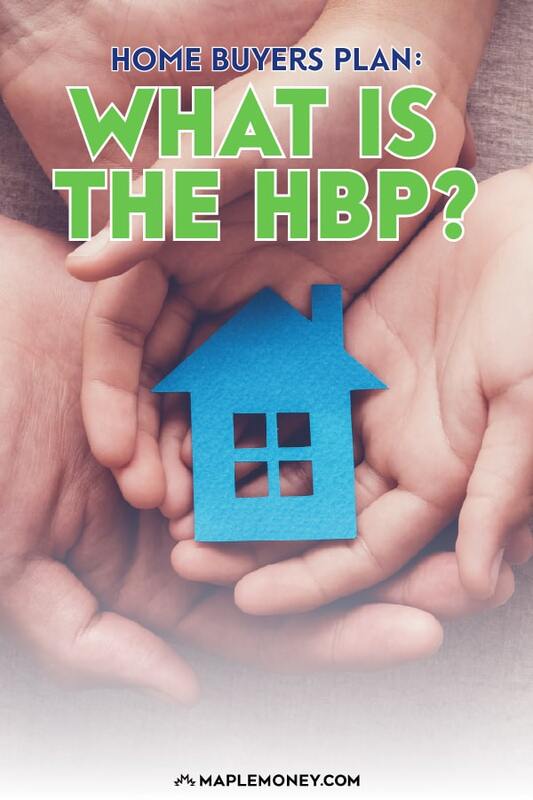 Or is hbp a different type of loan? Can you use an RPP for the HBP program? Re. Borrowing money that is yours: this is the only way to take money out of your RRSP and not be penalized. Whatever you borrow you need to put back into your RRSP within 15 years (you will see it on your subsequent tax assessments). If you take $15000 out of your RRSP as part of the HBP, you will need to put at least $1000 into your RRSP every year to repay. Note that you cannot claim that money as an RRSP contribution for that year; and if you don’t put in that amount then it will go on your tax return as income for the year (so you will be taxed on it). You can repay faster, talk to your tax person. Hi, my wife and I are looking to buy our first home together. I am expecting to receive my bonus from work at the end of January 2016, I understand that I can’t take out that money until the end of April 2016. However, if we are planning to buy a house in February for example I can borrow money from my parents for the amount of my bonus then pay them back at the end of April. My question is would I be able to make first withdrawal in Feb 2016 and officially buy the house in Feb 2016 and then make another withdrawal at the end of April? It seems much easier if we are buying a new house/construction as I found answers that I would be able to withdraw throughout the whole year. Please let me know. Thanks for all your help. This should be available to all homebuyers, not just first timers. And remove the cap. I agree but no limit will be difficult. But the amount clearly is not realistic when you look at house prices now. Need MP to propose but sorry to say most don’t put forward anything good. I was wondering I work for Canada post and have a pension do I qualify for hbp program. I have never owned a home and want to buy a house for my sister who is on disability. I was going to rent it out to her. I see that it says It have to be the primary residence. Do you think I would qualify for this program?